The artists featuring in this exhibition present a broad range of different graphics techniques and styles, covering traditional techniques such as woodcut, etching, and mezzotint, as well as exploring modern methods enabled by the digital development. With global influences, the show guarantees an intriguing experience depicting stories on both an individual and a common level. The strength of this exhibition lies in its sensitive versatility, technical skills and storytelling. It is also the perfect opportunity to develop your network within graphic art connecting you to many other Nordic and German-based artists. Ekaterina Vopiyashina (RU): Ekaterina Vopiyashina is a young Russian artist now living in Canada. 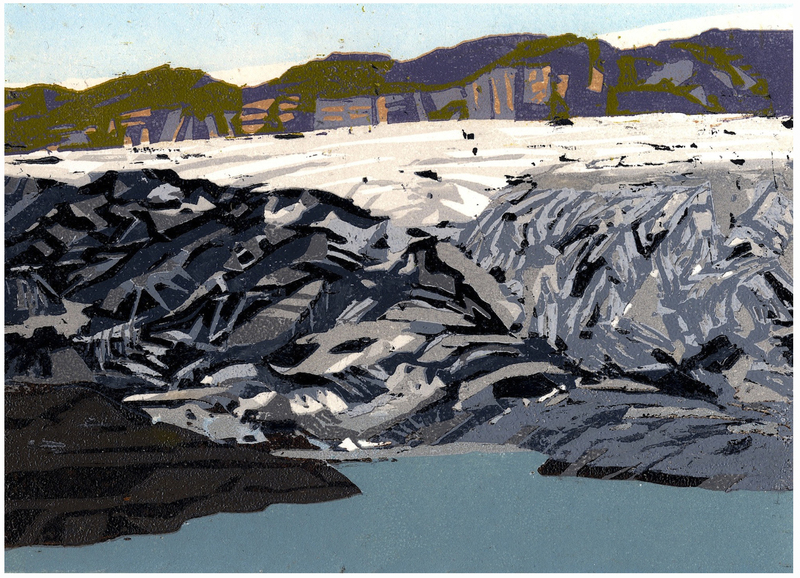 Linocut allows Vopiyashina to explore the use of block color and blind embossing. 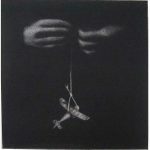 As a technique mimicking the invisible, blind embossing serves as a metaphor for how the manual house labor, expected from the majority of women, is rarely acknowledged by society. 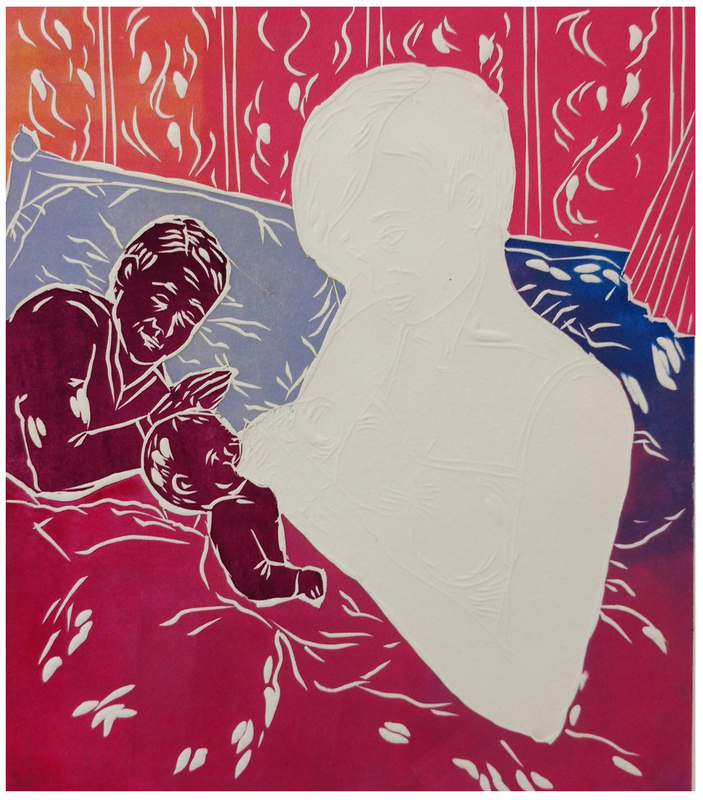 In her works, she confronts her own childhood experiences, taking the act of carving these images as an exercise for acceptance of this reality. 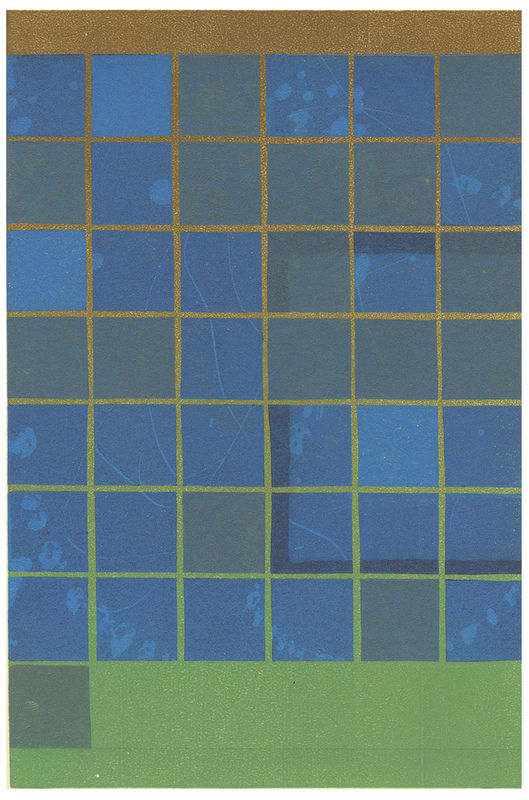 Scott Fisk (US): In his minimalistic prints, Scott Fisk recurs to antique wood blocks and letterpress technique to achieve their faded effect. The result is a playful use of color through layering that resembles a subtractive light effect, creating new color values. Reminiscing the design of the mid-20th century prints, these graphics are inspired by simple geometric shapes. The viewer is captivated to explore the chromatic design enhanced by the presence of the wood texture. 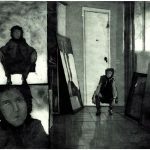 Lucas Naganuma (BR): This young Brazilian artist brings not only the promise of great skill but also a personal and very expressive approach to the narrative thematics and composition in his works. His captivating storytelling pushes the eye to carefully observe the details. Drawing from his own experiences, Lucas focuses on the little stories of daily life in a big city and uses a style similar to comic books to capture this feeling. 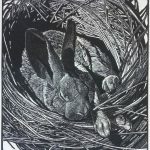 Cleo Wilkinson (AU): Cleo Wilkinsonis an Australian artist passionate about the mezzotint technique. This print technique gives Wilkinson the perfect opportunity to explore light and the absence of it. In her works, the light emerging from darkness captures strong feelings of loneliness, emptiness and silence. Almost like a crystalized emotion, the highlighting of the singularity of the moment renders the image with a memory-like quality, in which the surrounding details fade into the shadows. Blaze Cyan (UK): Blaze Cyan is a British artist living in London. 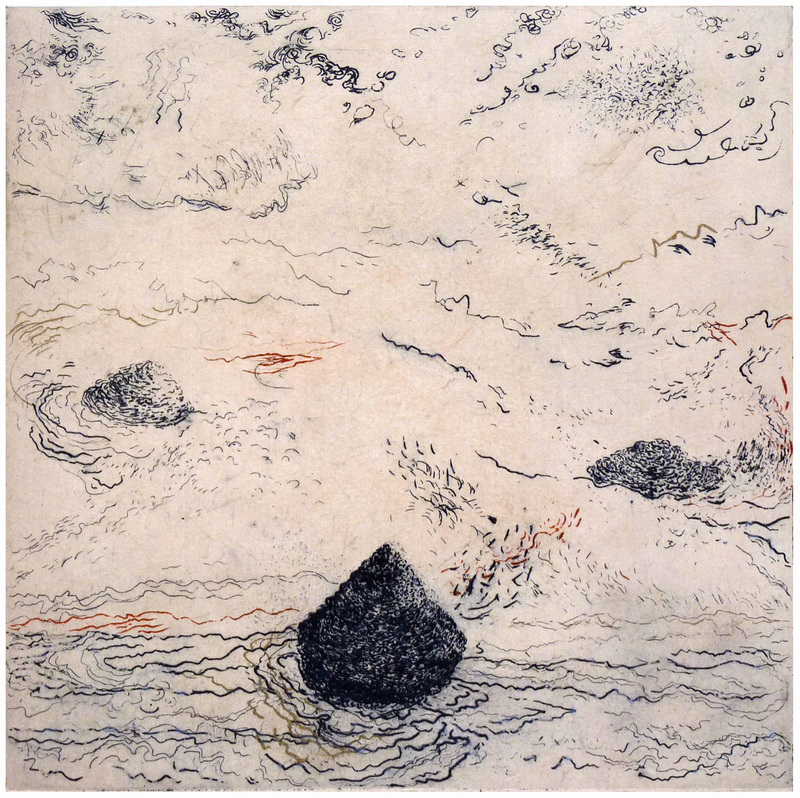 She works within the mediums of etching and woodcut, and her primary subject area is landscape. Cyan holds a particular fascination with ancient trees, how they transcend human timescales and the natural beautiful grotesque of their trunks. 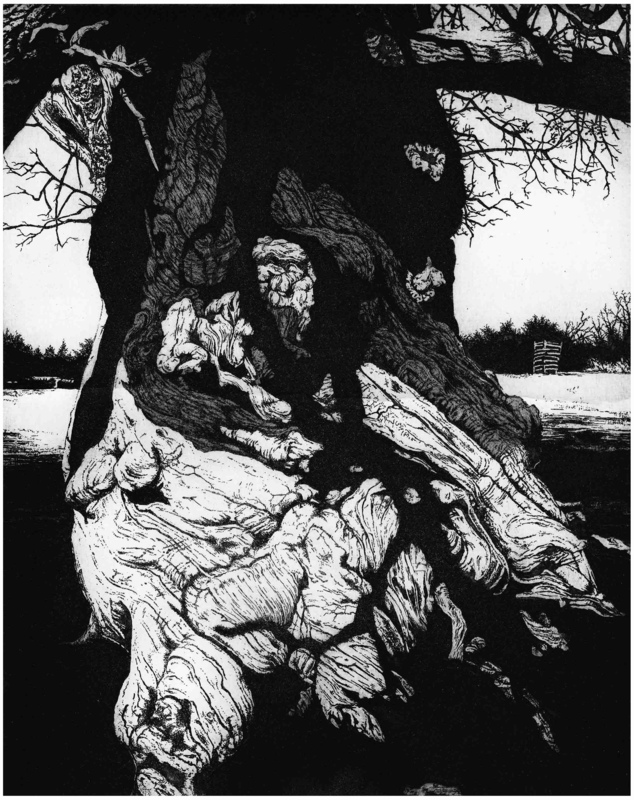 Her prints represent the trees in a harsh light, with the use of heavy black-and-white contrast. 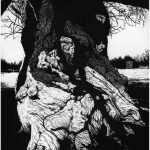 This monochromatic value emphasises the texture and the twisted shape of the tree. Nazli (IR): Nazli is an Iranian artist living in the US. She is a children’s books author and illustrator. The characters Nazli presents to us are Mashi and Mashianeh, the first man and woman in Persian mythology. 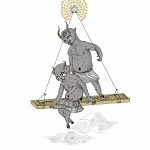 She takes up these mythological ancient themes into current times, unafraid of stripping the characters off details in order to maintain simplicity of form, thus allowing us to focus on their narrative. Amin-Hassanzadeh (IR): Amin Sharif is an author and illustrator of children’s books. Charged with an obvious presence of humour and strong storytelling, Sharif’s works are presented to us through a careful use of clean lines, flat muted colors and patterns. Sharif twists the perspective in the image by controlling the composition with a few geometric lines. The characters he brings to life take direct inspiration from his cultural heritage. 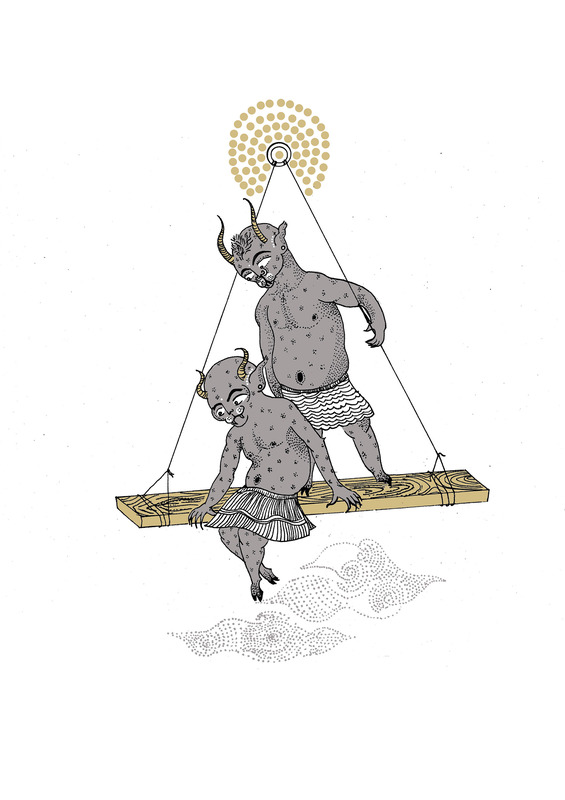 These hybrid and mythical creatures are drawn from the Iranian symbology. Manizheh Nezhad (IR): In The Crying Game series, Marcelle Hanselaar, a dutch artist, confronts us with different situations that surpass human boundaries. She brings acts to light exposing stories of violence and war and the consequent impact brought on innocent people. 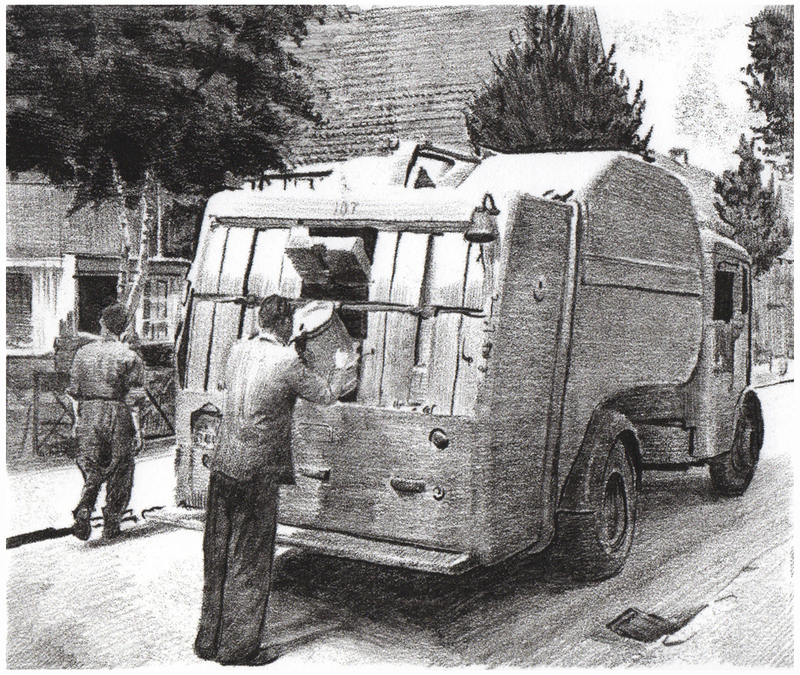 Hanselaar works mainly in black and white. 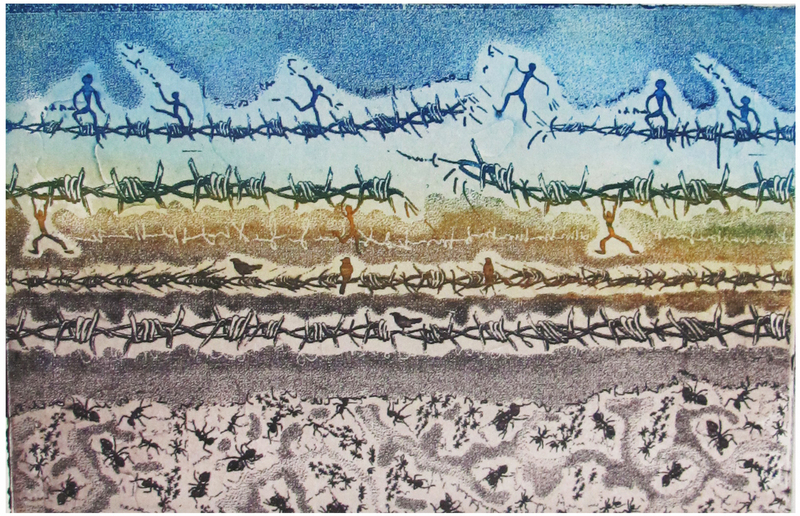 The power of the line created by the bite of acid into the plate expresses the drama and rawness of her subject matter. 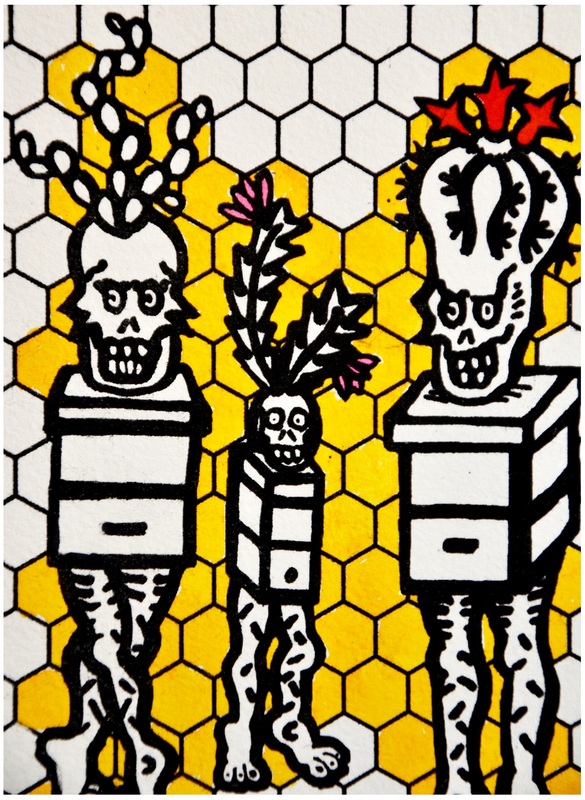 Although empathic, her rebellious nature channels a dark humour to her prints. Wenjie Chen (CN): Wenjie Chen seduces the viewer with graphic prints that exude romance. 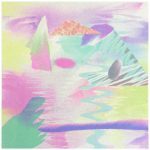 Surrealistic shapes in pastel colors form a chromatic dreamscape. These works take inspiration from the first possibilities of vectorial design enabled by the emerging computer era in the eighties and from the famous italian memphis style. Heavily digital-inspired, Chen’s prints deliver us a calm and controlled approach to this retro theme. 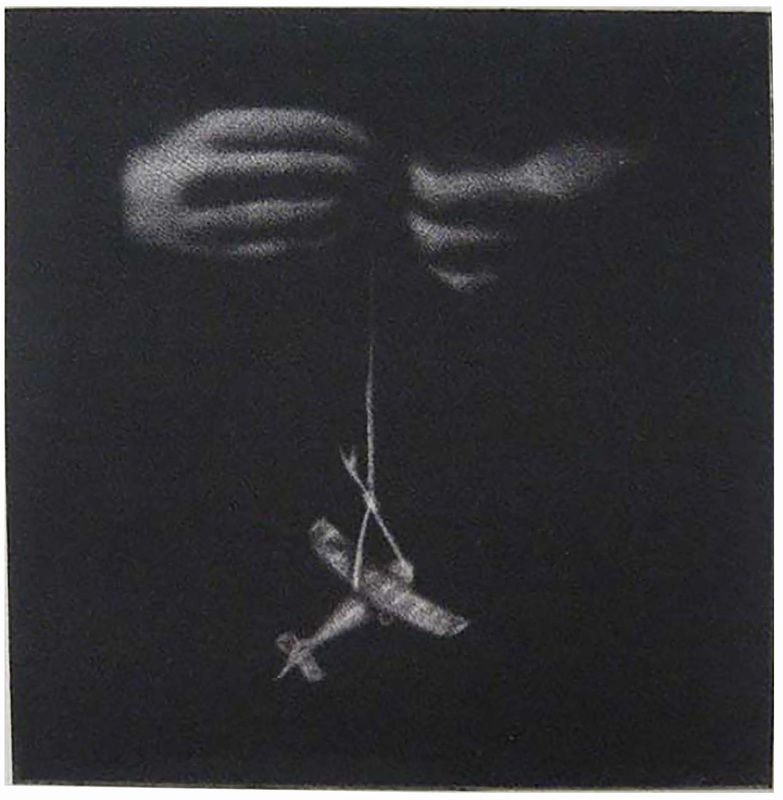 Brandon Willams (US): USA born artist Brandon Williams works with printmaking, specifically intaglio. His works reveal a deep interest in precision and details. His architectural constructions, devoid of human presence, bring the viewer’s attention to the delicate and complex textures and patterns. These hypnotic, almost meditative rooms resemble a zen garden to be rearranged when needed. 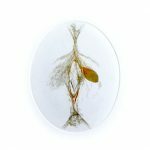 This multidimensional aspect is intentional, in the sense that different perspectives appear when the viewer turns the print around its own axis. Xecon Uddin (FR): In his work, Xecon Uddin aims to explore his cultural roots. 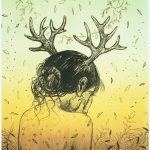 He uses hybrids of humans and forest animals framed by elements from nature as his aesthetic solutions to depict his need to connect with the earth. The constant search for the centered self is his contemporary state of mind, which Uddin seems to pour into his work. 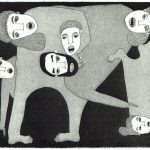 Influenced by both mainstream imagery and folklore, it is easy for the viewer to establish an emotional connection with these apparent anonymous characters. 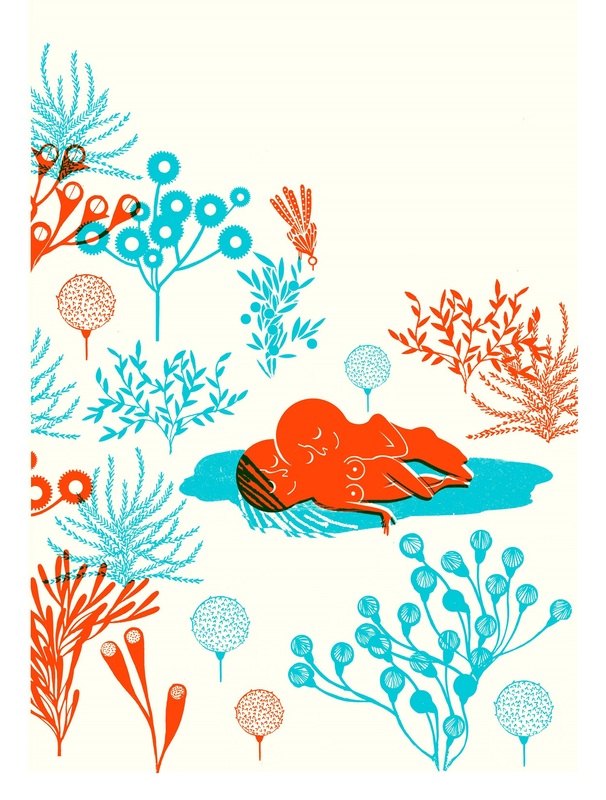 Ellen Rouppe (NL): Ellen Rouppe is a dutch artist living in Paris. 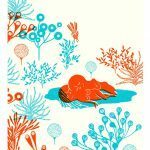 She has developed her work by experimenting with different graphic techniques, but keeping to one matter of subject: the ocean. She seems to take interest in this vast subject due to its capacity for change, flow and renewal. The ocean holds both living and inanimate objects, some lost, some waiting to be found. To Rouppe, it is textures, light and mysteries that represent the endless possibilities to explore the visual language. Eric Mummery (CA): Eric Mummery is a Canadian artist. 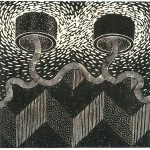 The presented woodcuts are part of an ongoing series that explore the visual capabilities of strong black and white in graphic language. 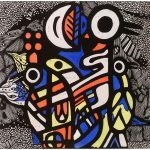 The prints often represent mirror-like compositions using geometric elements, combined with rhythmic background patterns intensified by contrast. Mummery also keeps his prints close to his heritage by choosing to use local, natural raw materials. Paula Gallardo Sánchez (ES): Paula Gallardo Sánchez’s work is defined by the experiences she draws from being a woman in today’s society. Gallardo Sánchez has created a series of figurative works that reveal the hidden beauty of the daily life. In her intimate record of family, she utilizes a naïf caricatural style. She portrays human condition through her own experiences, extracting feelings such as pain, fear, joy and calmness. Bruno Nadalin (US): Bruno Nadalin is an American artist living and working in New Jersey. 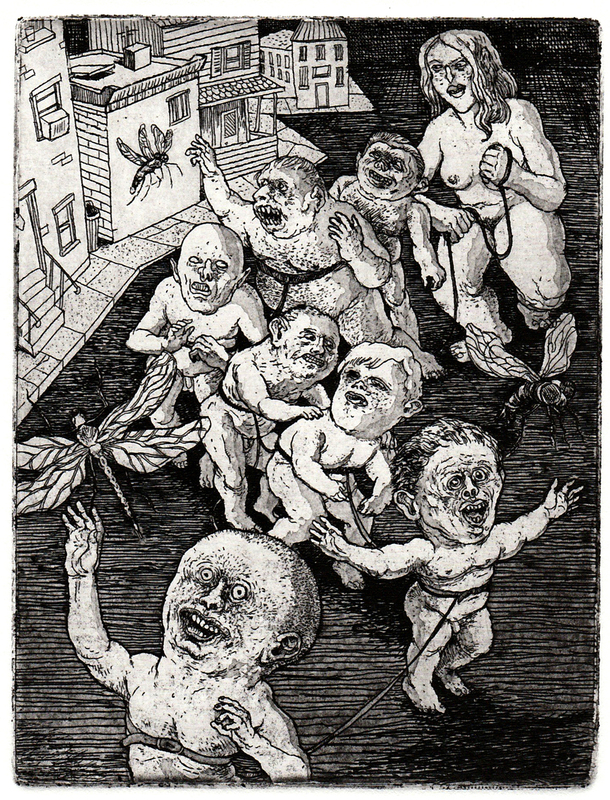 The prints presented come from a series where Nadalin uses etching and aquatint techniques. He creates allegories that explore the human condition through a dark, twisted universe by using coarse lines and disproportionate bodies. 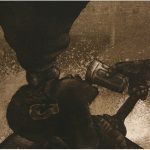 His fictional characters derive from kafkanian influences, with a strong focus on the grotesque. A recurring element, the cicadas, are insects which are associated with spiritual realization, resurrection and immortality. Wei Yuhang (CN): Wei Yuhang is a young Chinese artist. 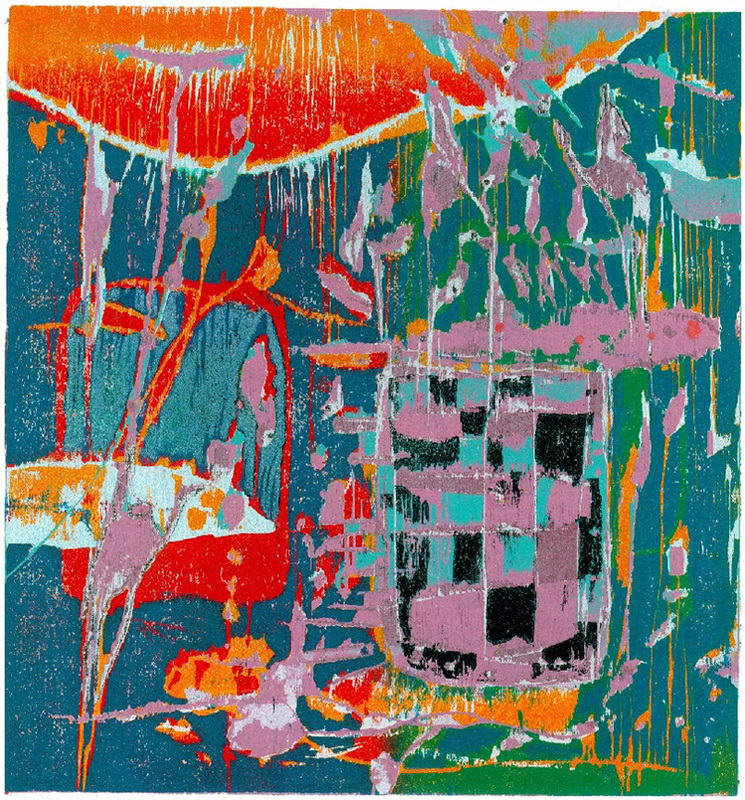 In his works Wei uses several layers of color and mesh like patterns to create impressions of a microscopic, emotional atmosphere. The sensible colors, delicate textures and composition invite the viewer into an ongoing thread of conversations or impulsive thoughts. These mental landscapes allow us to empathize, for we can all relate to a feeling of overthinking or trying to find some peace of mind. 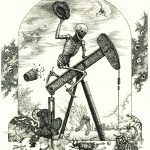 James Michèle (FR): James Michèle is a French artist now almost exclusively focused on engraving. 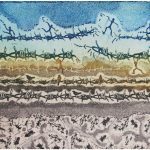 James’s prints provide her own interpretation of the relation between humans and nature, presenting them in close-ups of layers of soil using different colours. The combination of written characters, humans, animals and objects provides an opportunity to examine the limits between abstraction and figuration, as well as the relationship between form and symbol. 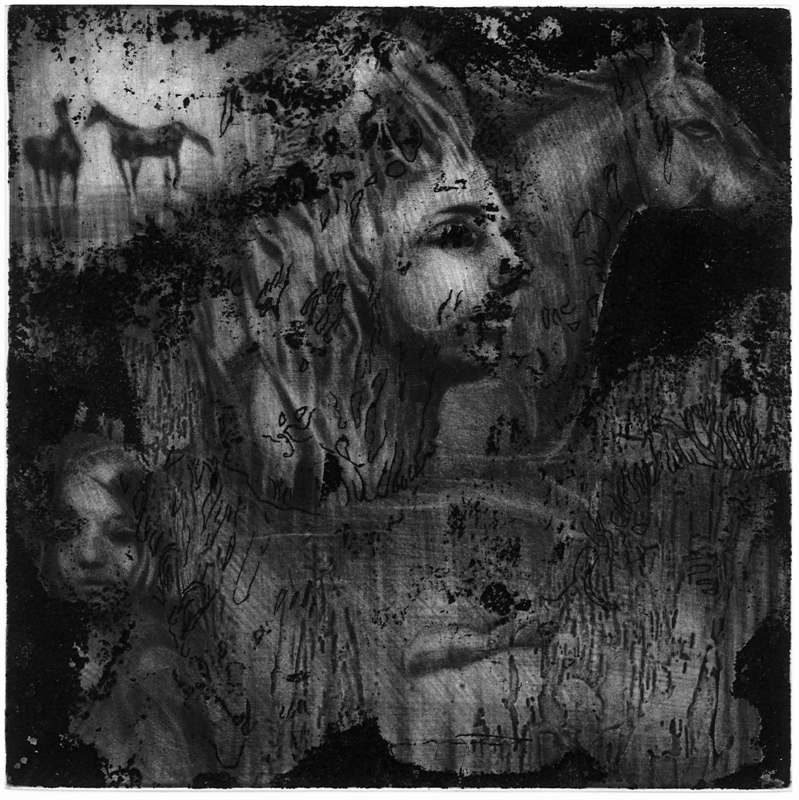 Koosha Moossavi (IR): Koosha Moossavi is an Iranian artist living between Tehran and Berlin. His works hold a special tension and darkness, but also courage. 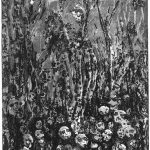 Bringing forth strong themes such as death, genocide, espionage, having to hide, Moossavi presents in his prints crucial issues – still very bold and defyant even today. 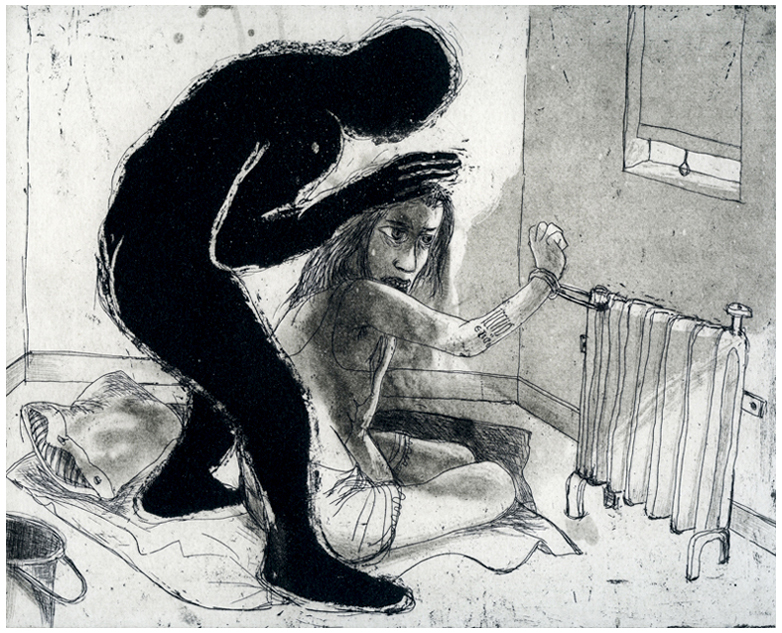 As a printmaker specializing in etching, drypoint and aquatint, he uses the black-and-white effect to his advantage, creating somber and mysterious images. 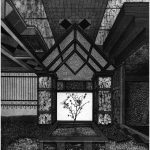 Chang Ling-Hsiang (TW): The monochrome compositions of the Taiwanese artist draw the viewer’s eyes into the complex dream world he creates. Flora and fauna play leading roles that intertwine symbiotically with the human figures and geometric textures in the background. There is a fun game of lost and found characters at play. In addition, the artist’s detailed work creates a three-dimensional representation, providing the viewer with an impression of depth as if the motion is captured at a standstill. 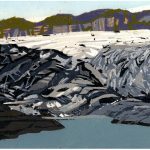 Gladys Bregeon (FR): Gladys Bregeon is a French artist specializing in printing techniques and artist book editions. Bregeon has a performative approach to every aspect of her work, meaning all processes and elements involved influence the final result. 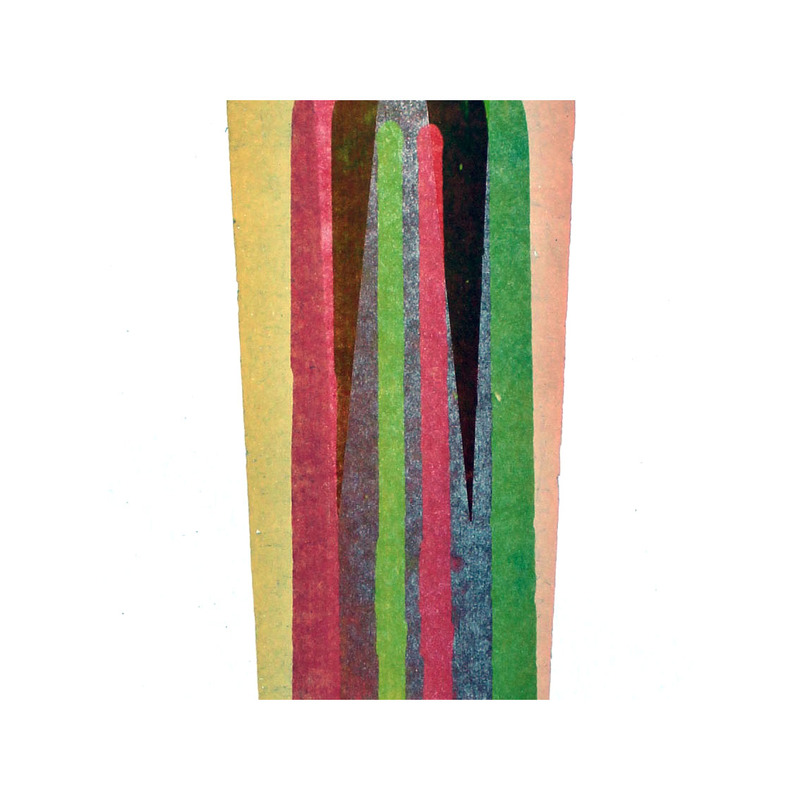 The paper, color or absence of it are intentional. 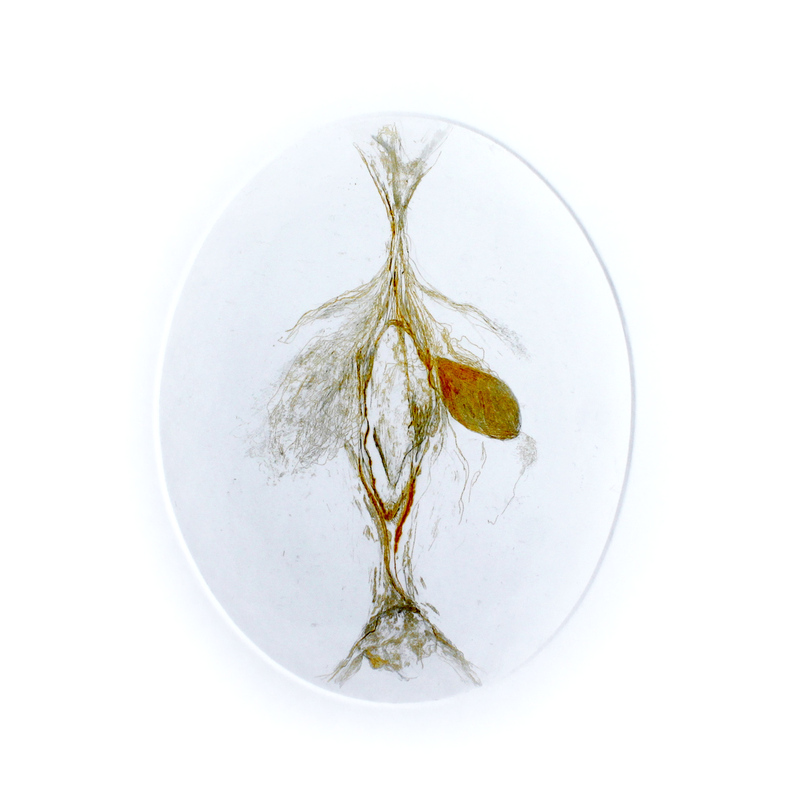 Precise depictions of female body parts are presented with a poetic quality. 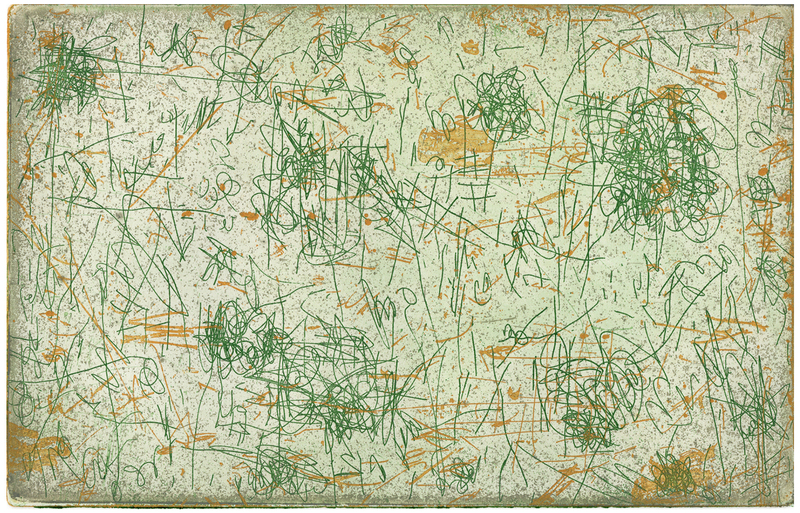 Bregeon takes advantage of blind embossing, intersecting with color or with a plain and clear background to create subtle but surprising compositions. 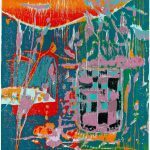 Brenton Good (US): Brenton Good is an American artist. 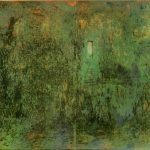 His monoprints represent the simplicity found in architectural structures, like glass paneled office buildings, that we so often see in our cities. Good plays subtlety with color, blue being the leading color, contrasting with warmer brick tones. The strength of the prints resides in the methodic repetition of the presented compositions, sure to captivate the viewer. Ute Braaz (AU): Ute Braaz is an Australian artist. 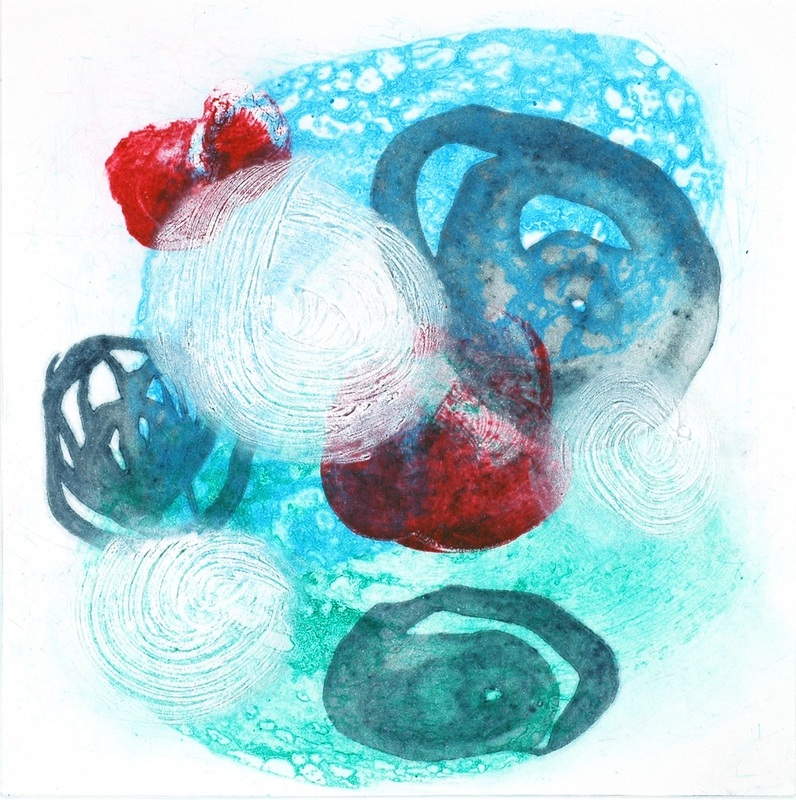 Braaz aims to practice with safe non-toxic printmaking techniques and materials. Her iconography is marked by the simple use of color and natural elements, while she explores the world with a curiosity of a child. 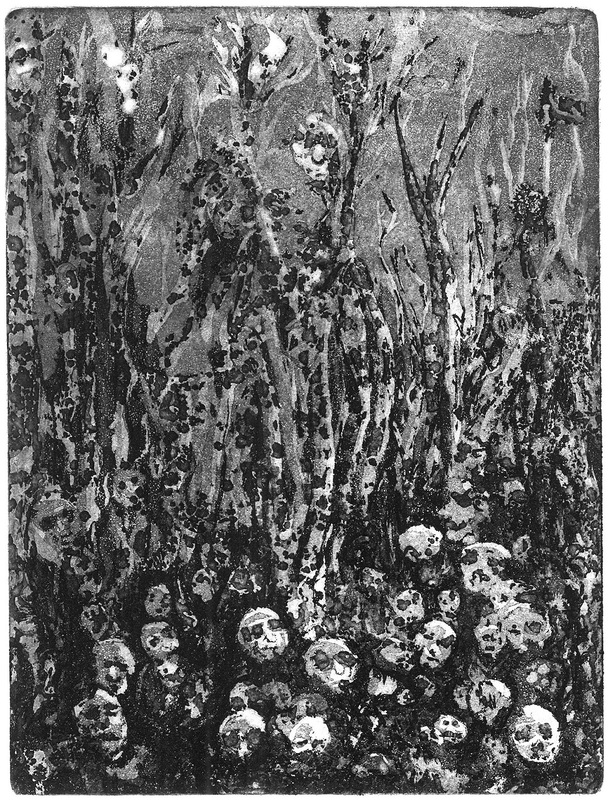 Braaz’s beings represented with skulls for heads paint the near end of humans as they try to carve their own destiny. 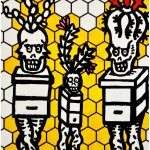 She plays with these unorthodox yet familiar representations, questioning human practices that impact on bee extinction and overfishing. Consuelo Barbosa (CO): The Colombian artist Consuelo Barbosa lives and works in Paris. 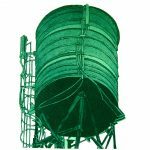 Consuelo’s interest is grounded in industrial man-made metal structures. The anonymous structures – water reservoirs – can be found in any city. 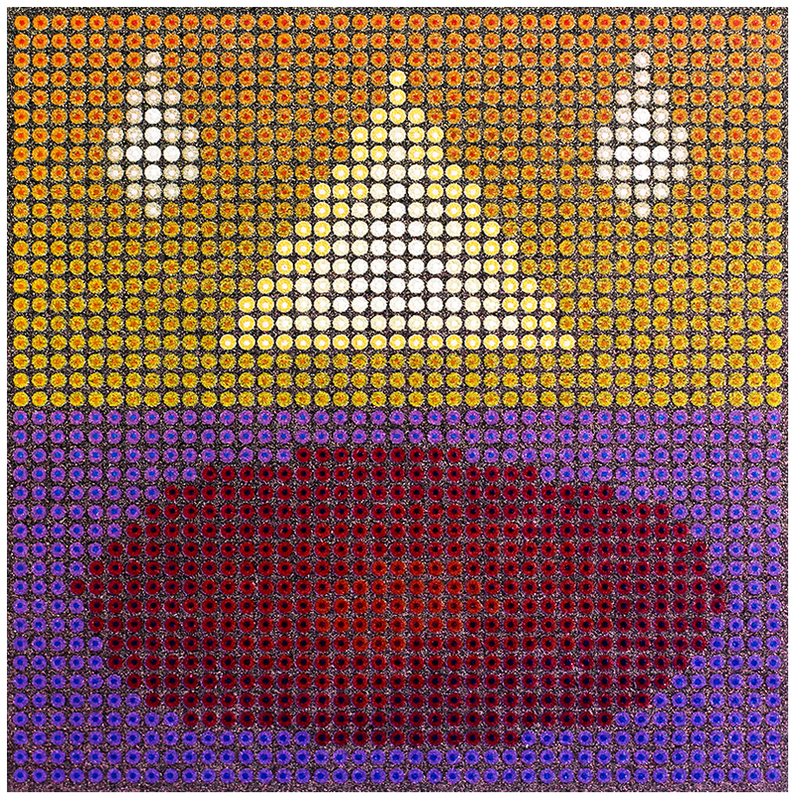 The artist then uses a different color gradation for each image exalting the singularity of the structure. A strong pop-art reference is revealed in the repetition and use of color though the subtleness of color and fine lines, conveying the structures of fragility without anuling their sense of size and weight. In fact, the water reservoirs’ importance is shown through the use of a low-angle shot composition. Hui Ann (CN): Hui Ann is a Chinese artist. Ann’s work focuses on childhood experiences. The main subject is the loneliness and explorations resulting from this time spent alone in imaginary worlds. Memories are relative and not completely accurate, and so are Ann’s prints. The girl in the images wears a prisoner’s jumpsuit with black and white stripes. 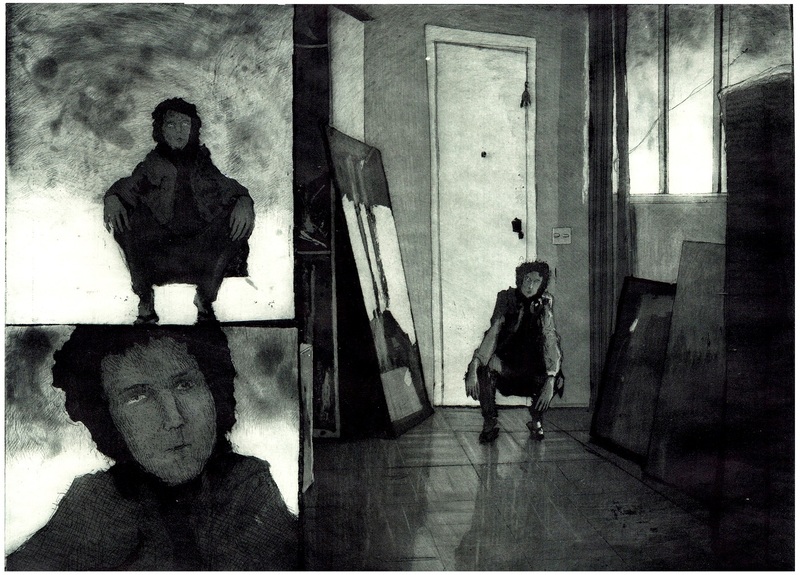 The artist features herself as a prisoner looking for an opportunity to escape. The composition serves as a metaphor for the imaginary prison as it is characterized by strong geometrization. 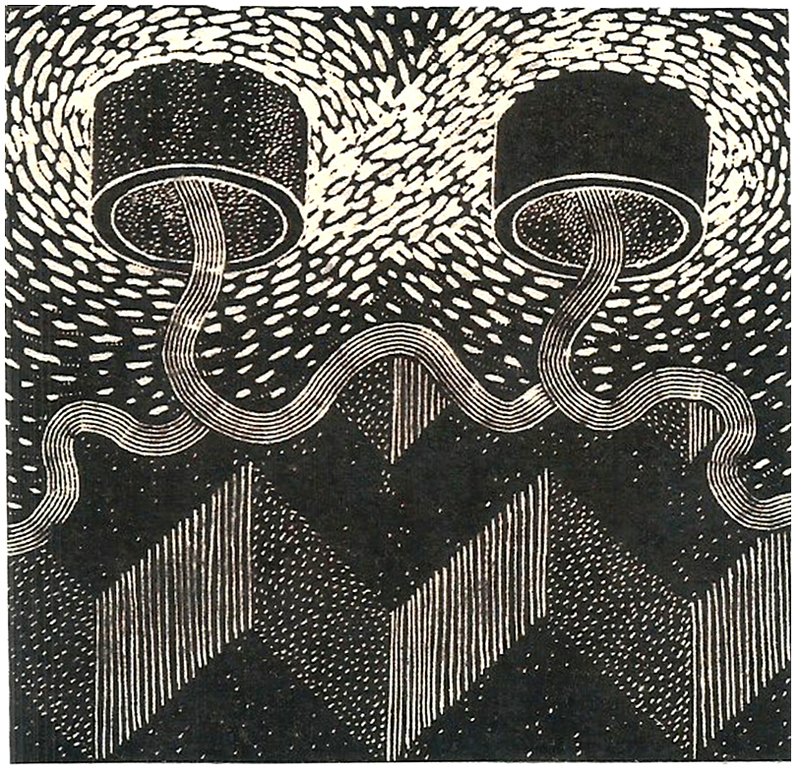 Valerie Syposz (CA): Valerie Syposz’s wood engravings are loaded with intense feelings. 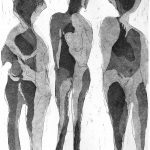 The Canadian artist is centered around the human being and in their struggle with their inner thoughts. The artist reflects on human existence and uses Renaissance sculptures of the humanist period as references to highlight this idea. 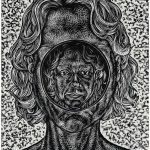 In Syposz’s graphic works, the viewer is confronted with the perception of the self or of the one that is projected, and how others actually perceive it. 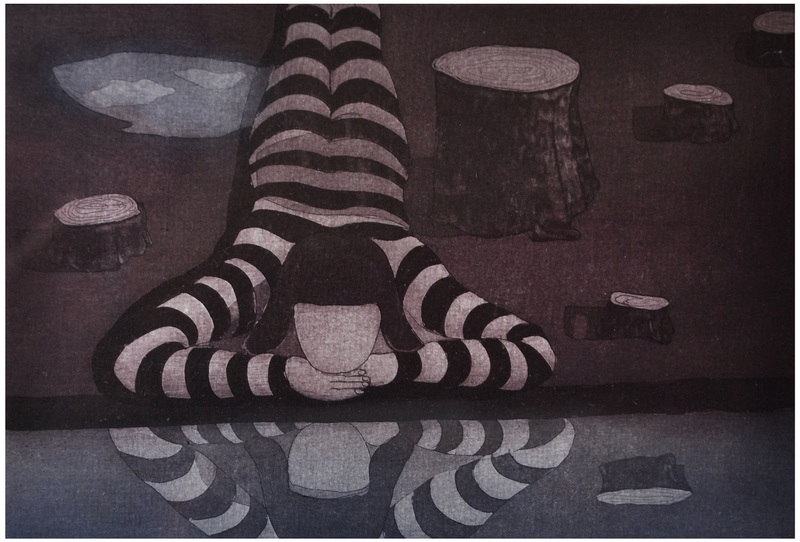 The prints narrate a story of loneliness, stereotypes and prejudices. Iris Trostel (DE): Iris Trostel is a young German artist with hispanic roots. 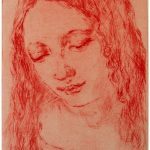 In the series “Immaculata”, Trostel takes inspiration from the great masters (Velásquez, Dürer, Leonardo, Caravaggio…) while reflecting on contemporary social and gender constructs. The virgins represent purity, their beauty untouched, their expression still with a look of sadness or compliance. A woman’s role in society is often defined by these characteristics. 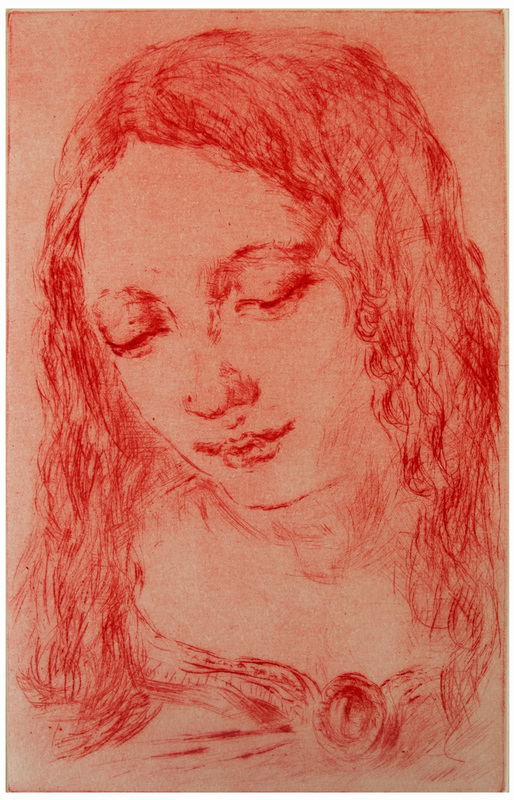 The fact that the compositions are done using only the color red may invoque a certain defiance, referring to feminine traits like the virginal blood, symbol of fertility. 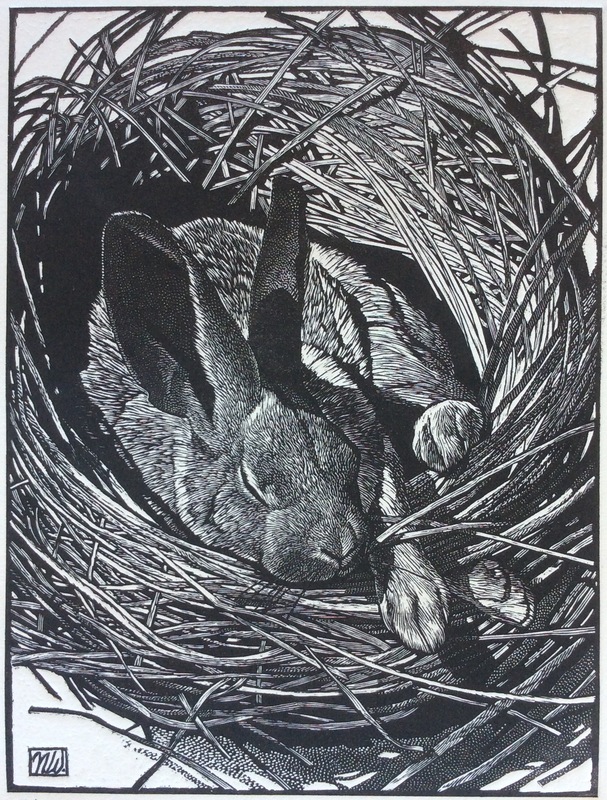 Nicholas Wilson (US): American artist Nicholas Wilson uses motifs from nature to express his passion for nature through his printmaking. Understanding that wood as a raw material used for engraving is difficult to control, Wilson’s prints are demonstrative of great precision and attention to detail. The highly decorative prints remind us of the fairytale illustrations we used to go to over and over again as children. These enchanted compositions are at the same time characterized by powerful realism and the presence of both quietness and revolt. 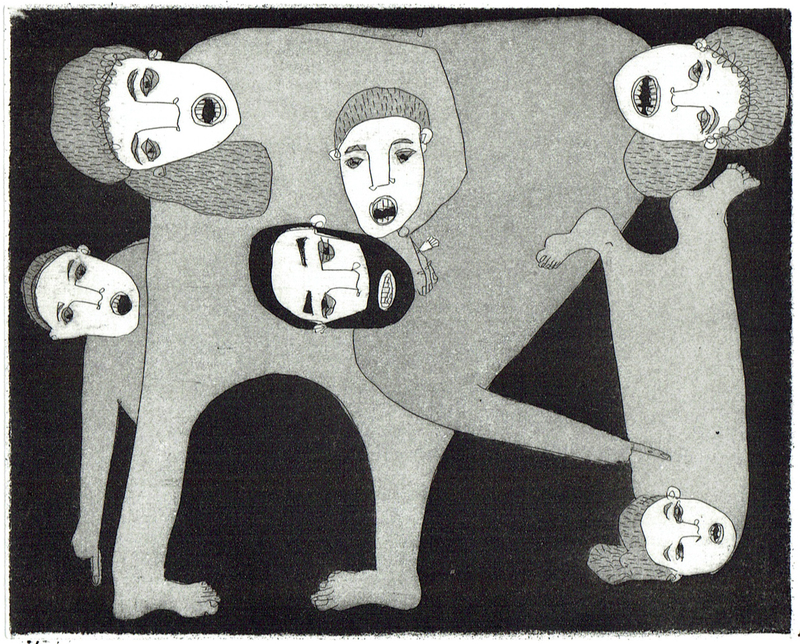 Durgadas Garai (IN): Durgadas Garai is an Indian artist who works in woodcut and etching. His works serve as a tool to revisit the tragedy of a water crisis. In these prints, Garai shows imagery of dark grey colours contrasted with strong shades of blood red. While water pipes and water itself are posed in a powerful angle, the victims of the crisis appear helpless. At the same time, the victims play a central role in the composition, creating an unavoidable, agonizing spectacle for the observer. Cynthia Back (US): Cynthia Back is an American artist. Back lives in the countryside, surrounded by luxurious nature and landscape which she then translates into her works. In Back’s creations, the love for the natural elements are brought to the observers’ focus through the use of bright colors. Back creates exuberant patterns taking notice of every rock, every leaf, every cloud. These prints perfectly imitate immersion in landscape. The observing viewer is also invited to consider the fragility of nature and analyze the impact of man and climate change in nature. 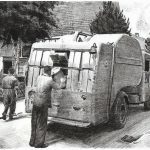 Jacob Muldowney (US): Jacob Muldowney is an American artist, using appropriated images from several sources like family photos and found pictures, telling stories of war and its impact on older generations. He works with a thematique of armed conflicts, in order to remind younger generations about the constant presence of war, even today. By taking these images that were not meant for artistic purposes and changing the medium, Muldowney aims for the image to gain a new dimension and aesthetic value. The viewer can easily relate to the compositions, no matter the context, and reflect on the past. Kim Mclauchlan (PE): Kim Mclauchlan is an artist from Lima, Peru. 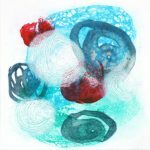 In her work, she mixes traditional and contemporary printmaking techniques and enjoys the use of handmade paper. 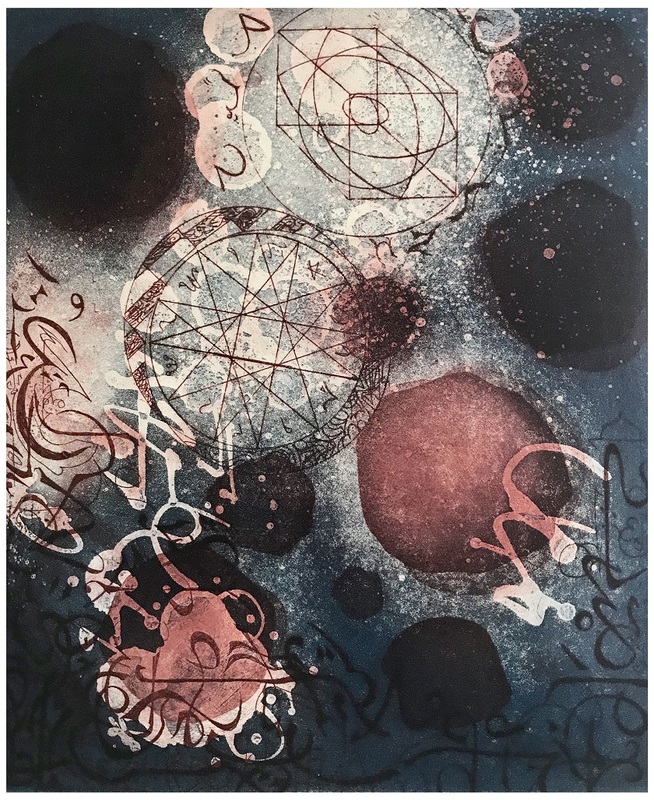 The delicate textures and colour transitions allow her prints to show a realistic microfocus on a material, allowing the viewer to recognize familiar shapes in an abstract reality. 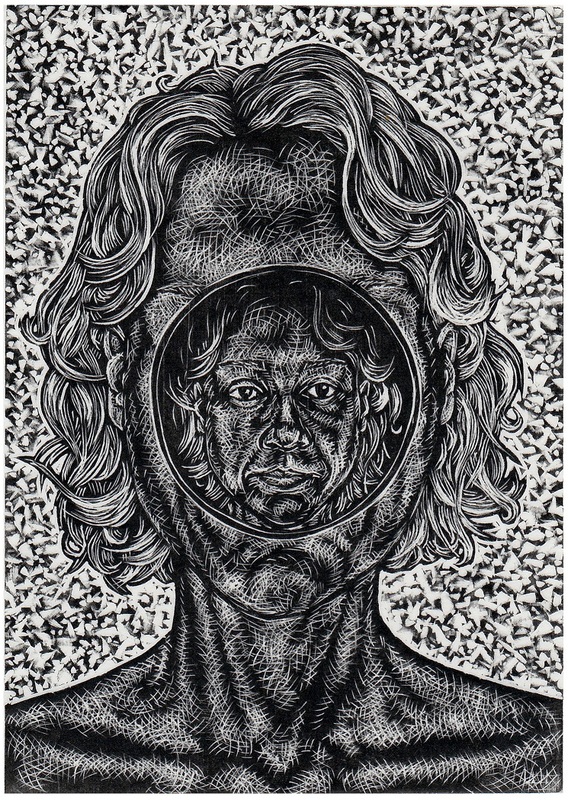 Mclauchlan’s prints suggest that we reflect on upon the vague reality depicted. 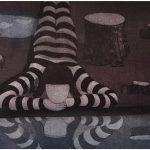 Hyun-Jin KIM (KR): Korean artist Hyun-Jin Kim creates very expressive abstract prints using woodcut technique. The artist captivates us with bold and fun color contrasts. 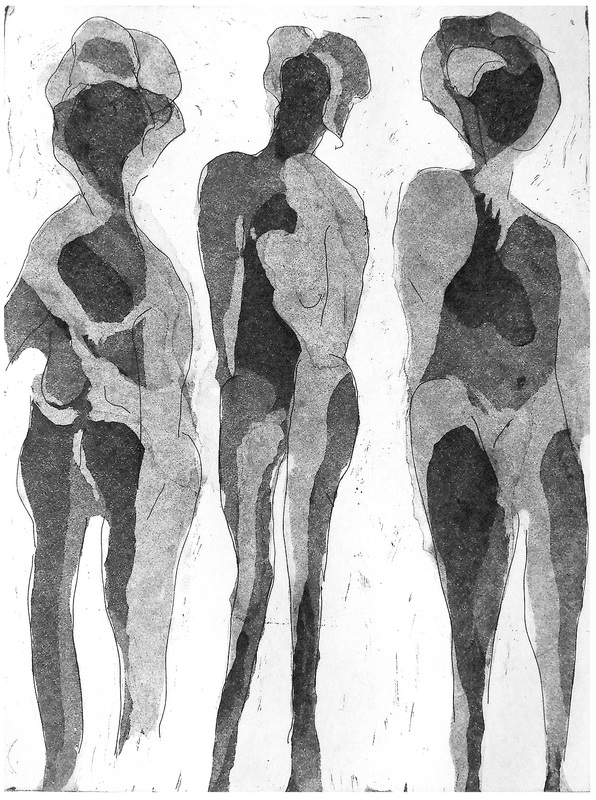 Coexisting figures create gaps and borders of color, much like torn paper. The abstract compositions seem to be the result of a quick process. However, in order to achieve this effect, the process of creation and color layering is well thought through and very morose. Thamrongsak Nimanussornkul (TH): Thamrongsak Nimanussornkul is an Thai artist. Making the most of the silkprint technique, Nimanussornkul creates delicate prints, resulting in a complex overlay of as many as 20 to 50 layers of color. Using pointillistic style, the prints reveal a light texture, which is an unusual characteristic of silkprint. The result is a hypnotic sea of dots and surprising color combinations. The composition of the images is intensified through contrast of a cold and warm palette, symbolizing duality and confrontation. Ruth Kalla Ungerer (US): Ruth Kalla Ungerer is an American artist who focuses on translating the qualities of drawing into her prints. 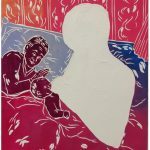 As we observe the three feminine silhouettes presented to us, we are invited to connect the image to common figurativ concepts, often represented by the three generations: grandmother, mother and daughter. Also mentioned often, are the three female states or the three female sorrows which one can easily guess: virgin, wife and widow. In the contemporary society, women’s bodies are defined by three measures: bust, waist and hips. The viewer is invited to reflect on the female body. 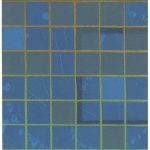 Robert Kelly (IE): Robert Kelly is inspired by abstract and poetic compositions. Through the colourful swirls in his lithographs, Kelly transmits movement and richness of colour, almost like in a joyful dance. 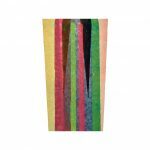 This translates into color juxtapositions in which the elements that resemble thick and impulsive brush strokes suddenly seem to become alive and start interacting with each other. These splashes of refreshing color reminisce of spring; the generation of life. 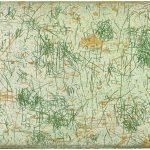 The artworks provide the viewer with insights into the mind of the artist, and the viewer is invited to peer into this mental game. 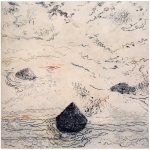 Tongwei Zhang (US): The American artist Tongwei Zhang presents us with prints that are titled “petroglyphs”. The title is a direct reference to the source of the artist’s inspiration, the art of primitive cultures, which means: images or symbols often created by carving a rock surface. 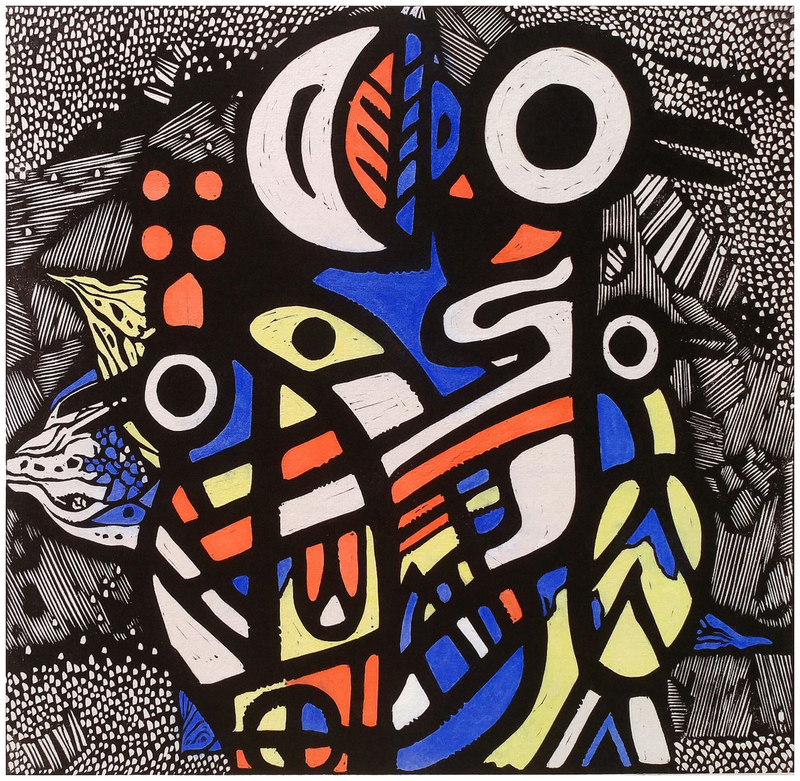 Bold black lines determine in his works the abstract composition and separate the bright colors. Zhang accepts the presence of the gesture when carving; this careless and impulsive movement seems to be a conscious choice. 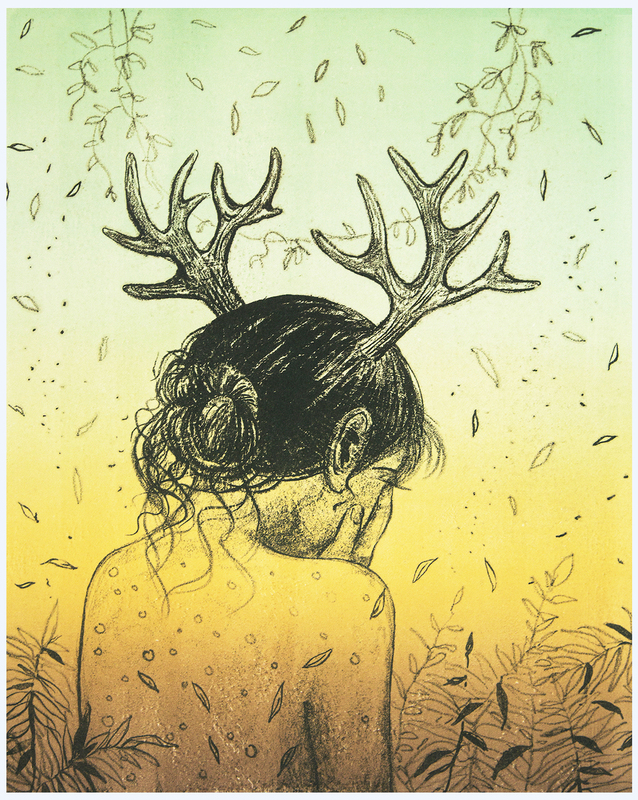 Zhang’s naive prints also reminisce of totems and sculptures that represent a close connection to nature. 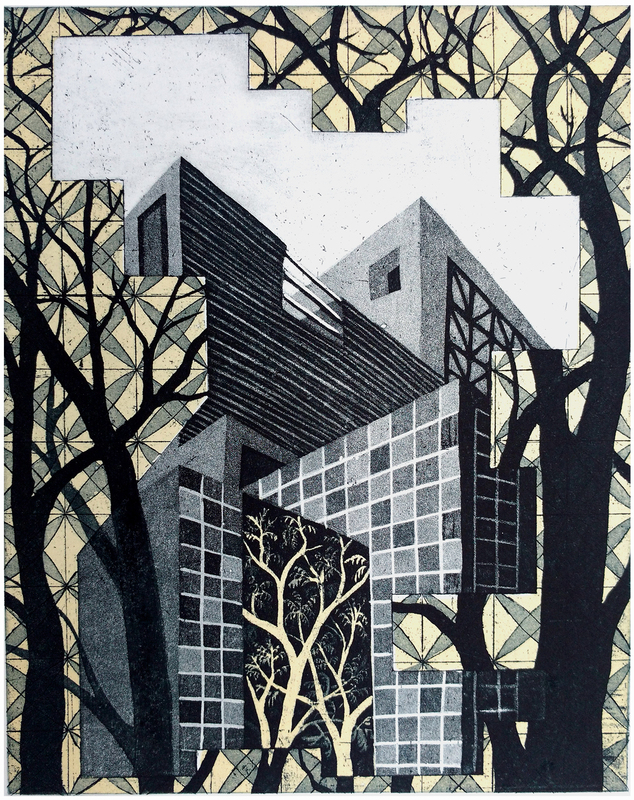 David Avery (US): David Avery is an American printmaker based in San Francisco. When confronted with Avery’s etchings, at first glance, we get an impression that these prints are graphic works from the 16th century. However, when taking a closer look, the viewer soon realizes the iconography used does not hold any classic meaning. Using contemporary industrial objects, the artist creates his own language of symbols. 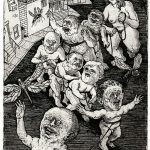 Avery’s works depict a modern era dominated by chaos and anxiety, the use of dark humour creates a comic relief that helps overcome these feelings. Manizheh Nezhad (IR): Manizeh Nezhad is an Iranian printmaker. Nezhad’s prints take us into a secret garden where various memories fade into each other. The protagonist is a child, and the story told seems to be one of pain and longing. 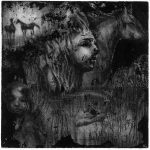 The soft grayscale images Nezhad composes using etching technique are superimposed with strong textural marks, as if the memory represented is being eaten away by rough black texture. 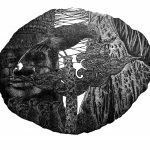 Gervasio Robles (AR): Gervasio Robles is an Argentinian printmaker living in South Africa. 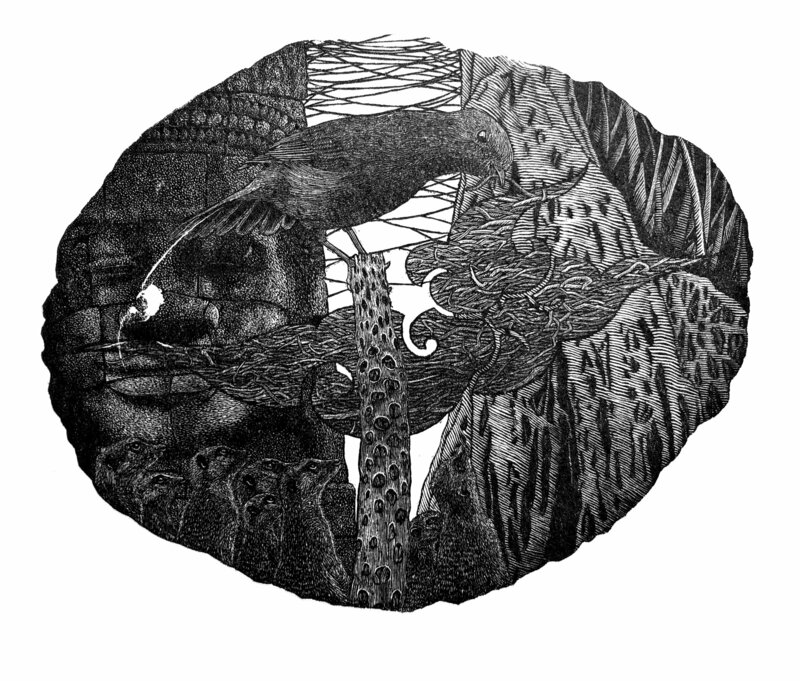 The artist uses the etching and aquatint technique. Robles seems to take inspiration from his cultural heritage and his surroundings in order to create a surprising and ironic approach to a classic theme – hunting. 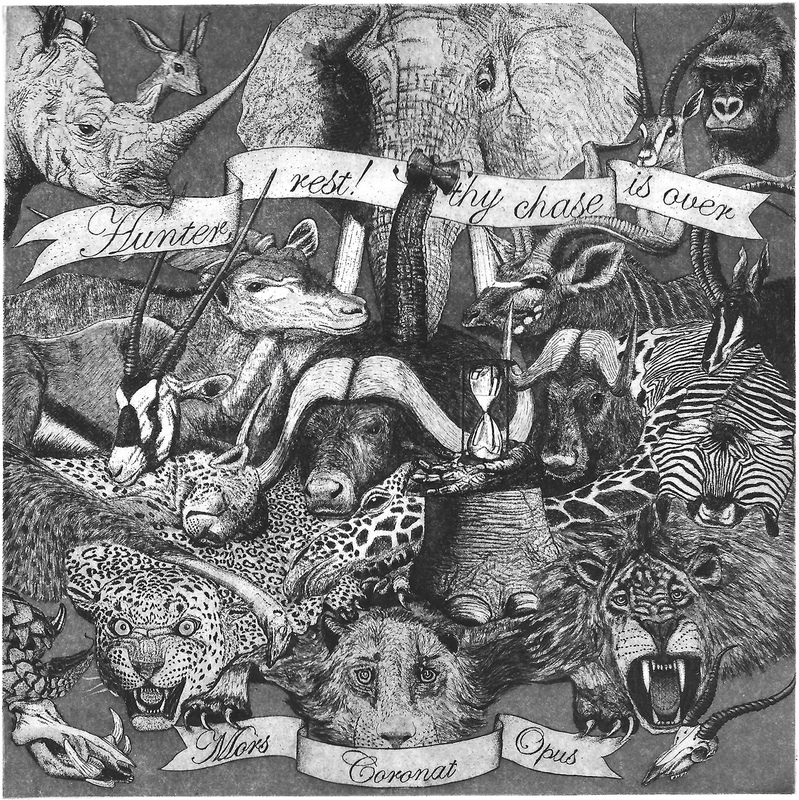 In the scene presented, the viewer is confronted with a display of wild animals, hunting trophies. 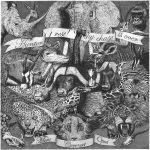 Each animal is playing a different role: some animals seem alive, some dead, some hold objects and are prepared to entertain us. All of the animals observe the viewer. 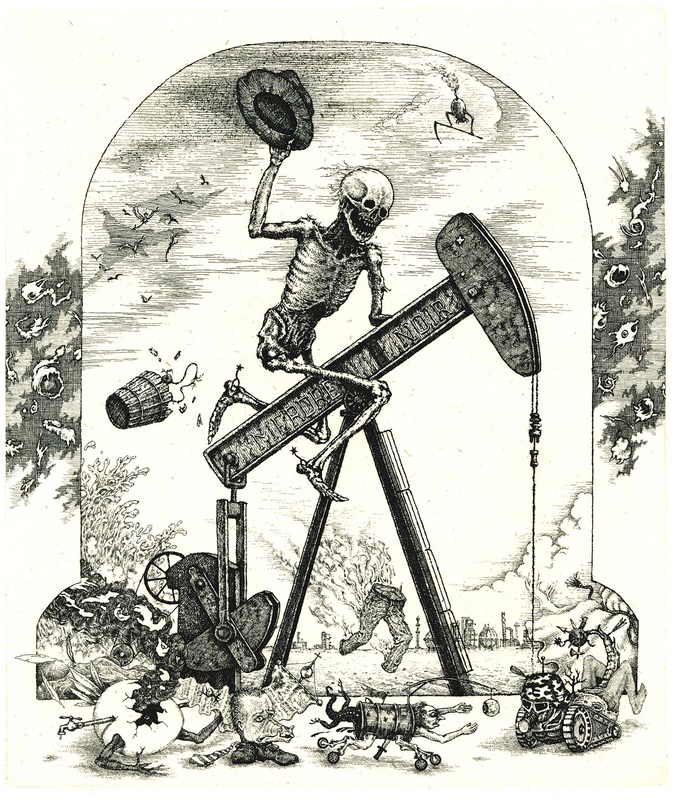 So the power of man over nature is questioned, as suddenly the hunter becomes the hunted. 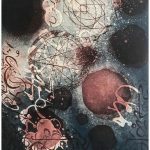 Tallmadge Doyle (US): In her hand colored etchings, Tallmadge Doyle confronts us with imaginary astral maps of her own creation. 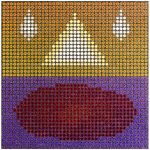 The American artist’s compositions are filled with encrypted symbology and color transitions that seem to communicate with the viewer. A secret microcosmos reveals a language of free interpretation, inviting the viewer on a visual journey. A resemblance to kaleidoscopic images incites a playful approach and the opportunity to revisit Doyle’s works, searching for new meanings. 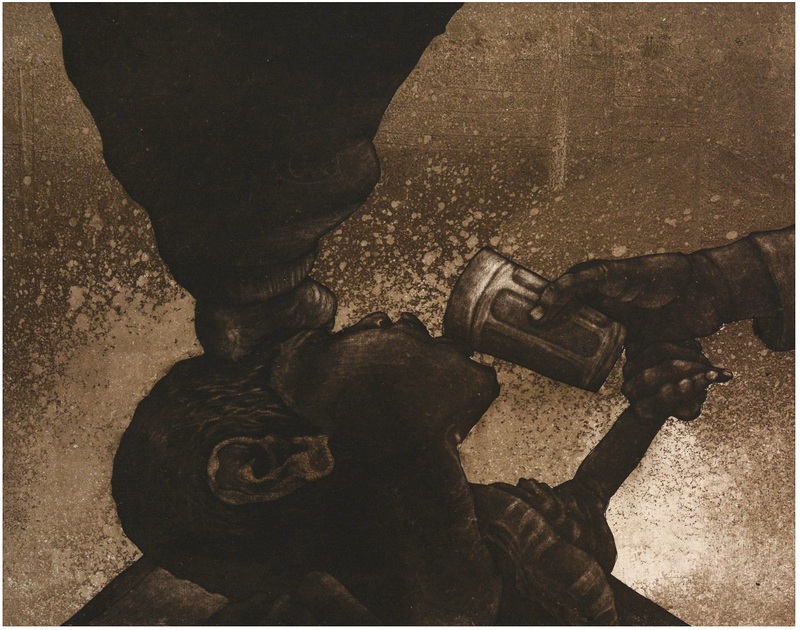 Annu Gupta (IN): Annu Gupta is an Indian printmaker living in New Delhi. 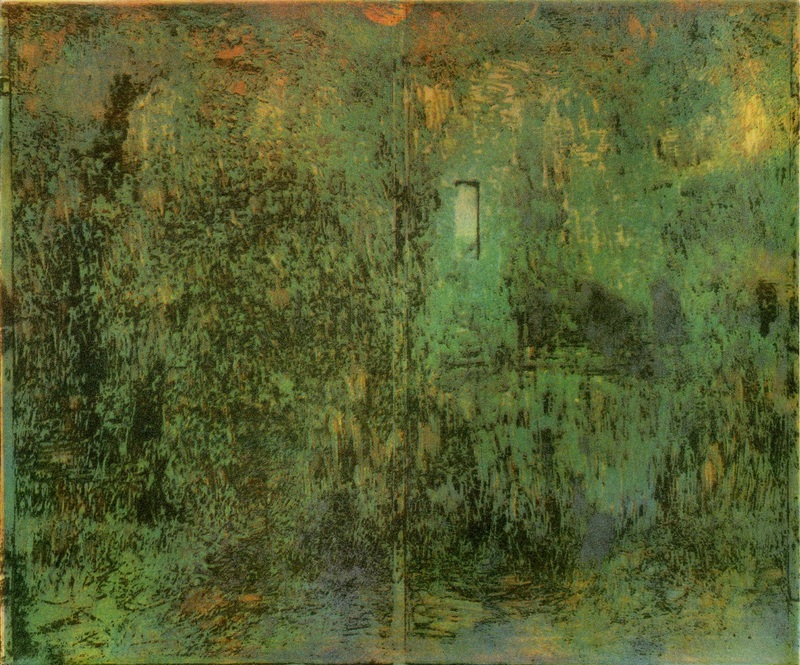 Gupta works mostly with intaglio printing techniques. 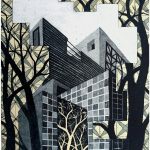 In her prints, she presents different urban spaces. In these spatial constructs, Gupta uses patterns and architectural elements to create depth and volume. The image seems to resemble a collage, where earth tones and elements from nature frame the cut and paste structures, resulting in a carefully studied and highly decorative composition.